With the new “premium” category S-wheel, the designers at BORBET have developed an especially eye-catching wheel due to its contour and spoke structure. 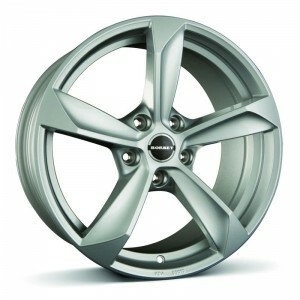 The concave design of the alloy wheel creates a striking impression. So even in the smallest available size of 8 x 17,” the styling gives it a very dynamic appearance. By turning the spokes towards the wheel centre and rear rim flange, they appear longer than usual. The powerful appearance is underscored by the hard edge of the polished surface contour and the contrasting, subtle transition between the spoke and flange. The ”S” has the styling lines of an Audi O/E wheel, each spoke is similar in design to a rotar. The Borbet Design S only comes in 5 stud fittments.